THE GREAT PROBLEM OF TIBET IS THAT OF ITS ILLEGAL OCCUPATION. I speak on behalf of ‘The Living Tibetan Spirits’ who had given their mortal lives in the hope of evicting the illegal occupier from the Land of Tibet. Occupation is not a natural condition and hence it would remain a problem. Apparently, China got transformed into a huge economic and military power and hence, the problem of Tibet is great. The greatness of the problem would not dampen my hopes and expectations about the future of Tibet. I am not seeking separation of Tibet from China. Tibet is not a part of China and separation is not the issue. I am supporting the view of ‘The Living Tibetan Spirits’. Freedom is a natural state or condition known to Tibetans over centuries of their existence as a Country with its own history and traditions. This historical experience of the people cannot be wiped out by decades of brutal, illegal, military occupation. By removing the military forces from the Land of Tibet, China could initiate a process of healing and restoration of normal conditions inside Tibet. A top US diplomat in China was apparently summoned to convey Beijing’s [ Images ] ‘strong indignation’ over President Barack Obama’s [ Images ] meeting with the Dalai Lama: it amounted to ‘gross interference’ which would damage bilateral ties, said Beijing. Chinese foreign ministry spokesman Ma Zhaoxu objected ‘sternly’, saying, “The encounter had not only hurt the feelings of Chinese people,’ but he demanded that the US start to seriously consider China’s stance and ‘immediately adopt measures to wipe out the baneful impact and cease to connive and support anti-China separatist forces that seek ‘Tibet independence’. The meeting between the Dalai Lama and Barack Obama was, however, not that crucial because the US is not in a position to influence China in any way, especially on its ‘internal’ policies. Beijing knows perfectly well that it can only be the loser. “In the current situation, only by repudiating its debts can the US rapidly decrease its debt ratio and reduce its heavy debt burden, so as to have consumption recover,” said Xinhua. This is also why even though Beijing can’t do much about the US debt (and about its own money in US coffers), the Communist leadership is certainly not ready to listen to Washington when it concerns its ‘internal’ affairs’. The US, even if it manages to escape the debt trap, does not anymore have the clout (or the muscle) to impose anything on China. But there is something else; during the last few months, the world media, and particularly the US press, highlighted the ‘democratic’ wind coming from Dharamsala and applauded the Dalai Lama’s self-retirement. The logical next step for a nation promoting democracy in North Africa or the Middle East would have been to invite the ‘elected’ leader of the Tibetan diaspora along with the Dalai Lama. But no, Washington prefers to receive the Dalai Lama and ignore Dr Lobsang Sangay, the new ‘elected’ Kalon Tripa. It is more convenient to receive a ‘religious’ leader. Then, in case China sees red, Washington can always say that it was a non-political encounter. More interesting is the trip of the Chinese Vice-President Xi Jinping to Tibet [ Images ]. It is the highest level visit to the restive region since 2001, when the then Vice-President (today President) Hu Jintao went to celebrate 50 years of the ‘liberation’ of Tibet. Tibet Information Network then reported, ‘Several thousand Tibetans were required to be present at the main anniversary ceremony on July 19, which was attended by Hu Jintao in the Potala Square, surrounded by armed security personnel. ‘Others, including children, students and monks, were required to form part of various delegations welcoming the official visitors to Lhasa,’ it said. Strangely, on Tuesday, in a lead article, Xinhua merely said, ‘Central government delegation arrives for Tibet’s 60th anniversary of peaceful liberation,’ adding, ‘A delegation of China’s central government arrives in Lhasa, capital of southwest China’s Tibet Autonomous Region, on July 17, 2011. ‘The delegation came to attend the celebrations marking the 60th anniversary of Tibet’s peaceful liberation,’ it adds. Is it not strange that Xi Jinping’s name is not even mentioned? Why? Let’s not forget that in 15 months’ time, Xi Jinping will be China’s president, as well as the Communist Party of China’s general secretary and chairman of the all-powerful Central Military Commission. While Xi’s name is mentioned in secondary articles, it is intriguing that his name did not figure in the lead article. It probably has something to do with a not-so-smooth succession and the announced-and-later-denied death of his mentor, former President Jiang Zemin. Chinese ways are sometimes difficult to grasp. Apart from the old ‘Tibetan’ guard (Raidi, Pagpalha), Vice Premier Hui Liangyu and more, interesting for India [ Images ], General Chen Bingde, the People’s Liberation Army’s boss, travelled with Xi. Another interesting aspect of Xi’s visit to Tibet is that Xi Zhongxun, the vice-president’s father who was a vice-premier himself, played a relatively positive role in Tibet in the 1950s, till he was purged in September 1962 (he wrote that the Panchen Lama was right in his assessment of the situation in Tibet where lakhs of people died during the Great Leap Forward). When the communists came to power in 1947, Xi Zhongxun was deputy political commissar of the North West Field Army commanded by Marshal Peng Dehuai. Later Xi was elevated to the post of political commissar of the army which entered north-western Tibet in 1949. While Xi Zhongxun had a military background, he was very close to the late Panchen Lama (and later to the Dalai Lama). When the former passed away in mysterious circumstances in 1989 in Shigatse, Xi wrote his obituary in The People’s Daily. Strangely, very little has been written about Xi Jinping and the Tibet connection. Probably Xi Jinping does want to highlight this ‘connection’ a year before his elevation to the top of the party and some links to his past seem to have been removed. In any case, the vice president’s visit to Tibet should not be seen as negative and there is no reason for the West to support large-scale protests. On the contrary, Xi Jinping should be encouraged to see for himself the tense situation in the Himalayan region, at a time when the official propaganda continues to hammer on that the Tibetans are happy and liberated. Going through the paper, one discovers astonishing information: ‘After the founding of the People’s Republic of China in 1949, Tibet was peacefully liberated,’ it reads. Nobody is fooled, either about the ‘democratic socialist society’ or the serfdom. The words just do not tally with ground reality. Why should Tibet be closed to foreigners for such a ‘special celebration’ if life is so rosy and if Tibetans are so grateful to the ‘motherland’? As the White Paper was released, the Tibetan Centre for Human Rights and Democracy announced that the Kardze County People’s Court in Eastern Tibet had sentenced 13 Tibetans out of those arrested after a demonstration. The TCHRD further stated that on July 5, 2011, the Public Security Bureau arrested Pema Rinchen, a famous writer from his house in Drango County of Kardze Prefecture. ‘On July 6, 2011, the second day of his arrest, he had to be taken to the Drango county hospital for emergency treatment, because he was reportedly savagely beaten by the police after his arrest,’ a report read. ‘On hearing the news, his family members rushed to hospital. However, several policemen were standing guard outside his hospital room and refused to allow his family to see him,’ it said. Recent examples of the violent demonstrations, particularly in Kirti monastery, confirm that Beijing has a big problem on its table. What is flabbergasting is that Beijing continues to publish photos of ‘happy Tibetans’ enjoying life under their benevolent and compassionate ‘motherland’. Let us hope that Xi Jinping will be able to grasp the situation and follow in the footsteps of his father, a moderate and open-minded leader. 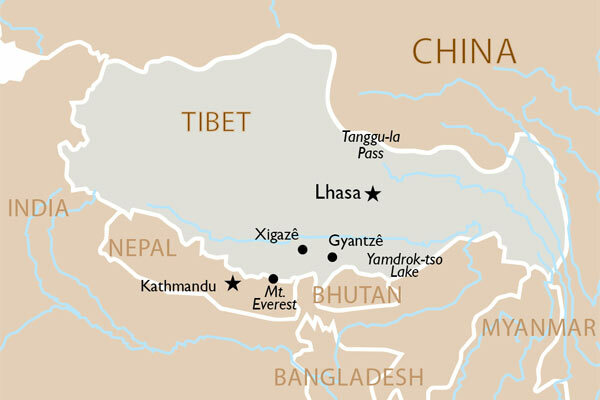 Pingback: INDIA BLINKS WHILE TIBET GOT GOBBLED | Bhavanajagat. Pingback: THE UNITED STATES-TIBET RELATIONS-THE REINCARNATION OF TIBETAN SPIRITS | Bhavanajagat. 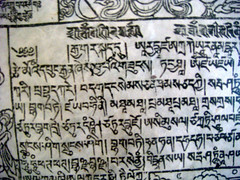 Pingback: A LETTER TO THE LIVING TIBETAN SPIRITS | Bhavanajagat.